Have hours of fun with the Despicable Me 3 Playsets! Each Playset comes with a 1 1/4-inch tall Minion mini-figure. Catch some waves, because it's Surfs up with the Despicable Me 3 Tiki Time Minion Playset. 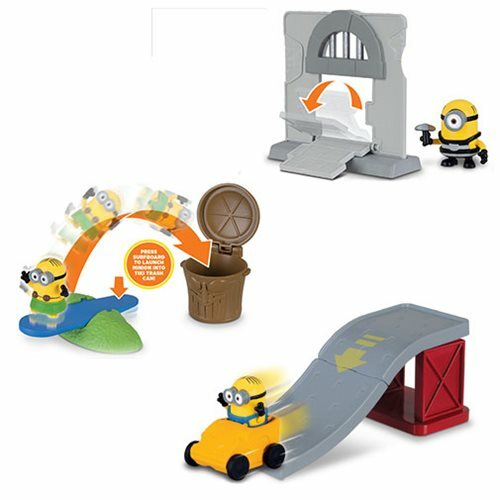 Make a break for it with the Despicable Me 3 Jail Escape Minion Playset. Head down the slide with the Despicable Me 3 Cheese Festival Playset. Ages 4 and up.